Crafted from poly-resin, this anchor stands on a twisted rope that coils upwards to the top and is finished in silver pewter color that will blend in perfectly with beach and sea event decor themes. 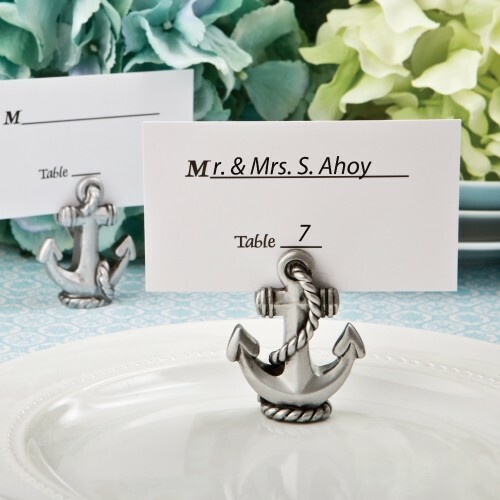 Delight your guests with a personal name card slipped into the slot at the top, when they arrive at their tables. They will be thrilled to take the anchor home to display a sentimental photo. Bulk packed individually poly bagged. Sold individually.